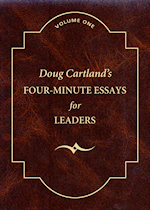 Doug Cartland’s Four-Minute Essays for Leaders is a compilation of Doug’s very best newsletter articles from the past seventeen years. In this brilliant book are fifty-five short essays; creative, inspirational, educational, often funny and always thought-provoking. They will help you become the very best leader you can be. Packaged beautifully as a hard-cover in a historical keep-sake style, this is a book that you’ll always want to have close by. Purchase additional copies for your entire team, company, or as gifts! A great tool for continuous self-evaluation, improvement and motivation for anyone in a leadership, position! A white copy of the evaluation geared to your employees so that they can score you in every area. How do their scores line up with yours? Forward by Green Bay Packer Hall of Famer and former Fighting Illini Ray Nitschke. 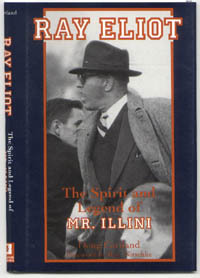 Ray Eliot was the head football coach of the University of Illinois from 1942-59, and won three Big 10 championships and two Rose Bowl championships and was one of the great motivational speakers of the 20th century!! 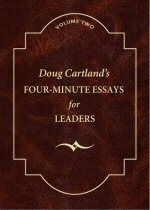 Doug Cartland lays a life before you to admire, to learn from, and to be inspired by.